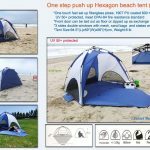 One piece push up instant beach tent, new taller design for tall customers. Setup in 3 seconds, foldsdown in 5 second, very easy to use just like opening and closing an umbrella. 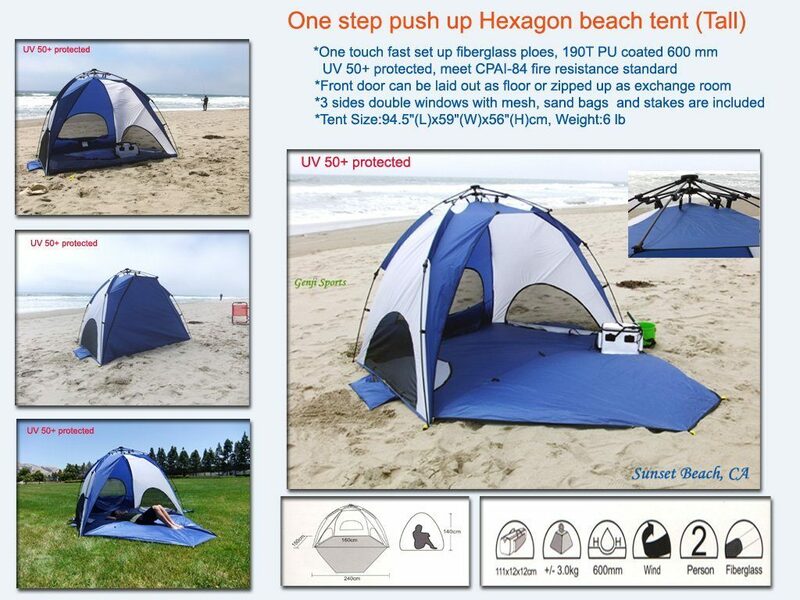 Durable 190T with PU coated 600-Millimeter nylon, UV 50+ protective material to block the harmful UV rays, it provides the shade for your family. 3 side double windows with fine mesh screen to block the sand. Front zipper door can be laid out as an extended floor or zipped up to become a change room. 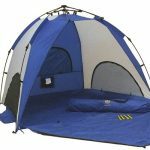 4 built-in sand pockets and sand stakes to keep the tent on the ground. 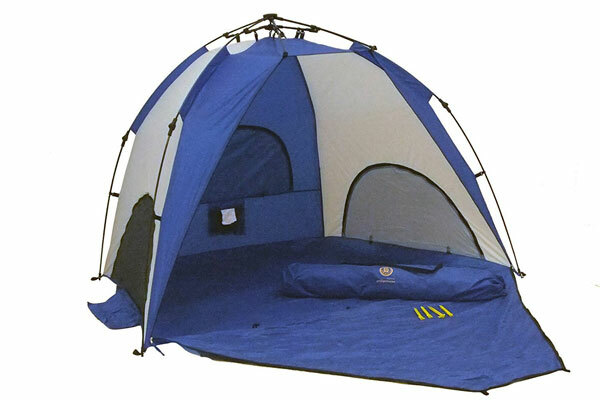 Tent, screen mesh and floor materials meet CPAI-84 fire retardant standard. 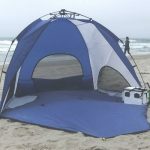 Light weight only 6-Pounds, durable fiberglass frames with patented one touch design, tent comes with a carrying bag. Dimensions 94.5 x 59 x 56-Inch (length x width x height). Package size 43.7 x 4.7 x 4.7-Inch (length x width x height). 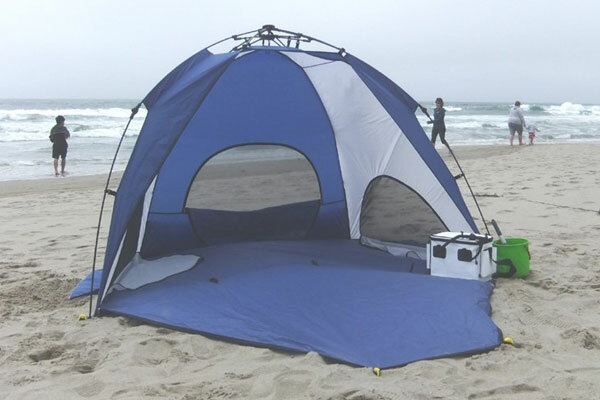 This beach tent sun shelter is large enough for two adults or many many kids.